The Commission on State Mandates (CSM) is a quasi-judicial administrative body that decides if local agencies and school districts are entitled to reimbursements for state-mandated increased costs to their budgets. Local governments that allege the state Legislature, the governor or a state agency imposed a state-mandated reimbursable program upon them are able appeal to the commission, which holds hearings to determine if they are eligible to receive money back from the state. While the commission was created in 1984, its genesis actually occurred with the state’s 1972 Property Tax Relief Act, which is officially known as Senate Bill 90 (SB 90). The primary purpose of SB 90 was to limit the ability of local agencies and school districts to levy taxes. In order to offset those limitations, the state authorized the State Board of Control to decide whether local agencies should be reimbursed for costs mandated by the state. In 1979, California voters approved Proposition 4 that required the state to provide reimbursement, with certain exceptions, to local governments if the Legislature or state agencies mandated new programs or higher levels of service on the local entities. After legislative hearings in 1984, the Commission on State Mandates was officially formed January 1, 1985, and succeeded the State Board of Control oversight of mandates. The commission was created to hear test claims that the state Legislature, or a state agency, imposed a reimbursable mandate on local governments. The commission also looks into whether the State Controller’s Office might have incorrectly reduced payments to local agencies or school districts. Originally, the commission had five members. In January 1997, two local elected official positions were added. When California mandates that a local government provide new programs or increased levels of service, the state Constitution can require that the locality be reimbursed. The commission hears claims from local agencies and school districts seeking to recoup money that they have been forced to pay to California state agencies because of new statutes or by the governor’s executive orders. The commission decides what local agencies must pay and what the state must reimburse. If the commission rules in favor of the complaining entity, it is reimbursed for the increased costs that were mandated by the state. If the commission rules against the complaining agency or school district, no reimbursement is required. Commission rulings are posted on its website. There are seven board members on the commission and its chair is always the California Department of Finance’s director. Other members include the state Controller, state Treasurer, director of the Office of Planning and Research and a public member with experience in public finance. The governor appoints two elected officials from school districts, city councils or county boards with only one coming from any of the categories. These two local elected officials and the public member are subject to state Senate confirmation and serve for four-year terms. The governor may reappoint them for a second term. The Commission on State Mandates receives 95% of its financing from California’s General Fund and spends almost all of its money on reimbursements to localities. The budget proposed for 2011-12 was 33% less than the year before as a result of most mandates not related to law enforcement or property taxes being suspended. AB 3632 mandated mental health services for special education students (including students placed in out-of-state residential facilities) are funded with Proposition 63 funds (a savings of $98.6 million in General Fund money) from within the Department of Mental Health budget in 2011-12. Deferral of pre-2004 mandate obligations provided a one-time reduction of $94 million in 2011-12 as a result of deferring the payment for costs incurred prior to 2004-05, which are statutorily required to be completely paid by 2020-21. The 2011-12 budget process highlighted ongoing problems with the way California handles mandates. The proposed budget suspends more than 50 mandates that span a wide range of policy areas. It can do that because the Legislature may “suspend” a mandate by appropriating $0 funds for it in the budget bill and adding a provision speciﬁcally identifying it as suspended. Many of these mandates have been suspended for more than a decade. When a mandate is suspended, implementation of the requirement is optional for the ﬁscal year. The only statutory reference to a mandate suspension is in the budget act. The state currently owes local agencies more than $1 billion in unpaid mandate bills. Although the state is required to pay these bills over time, no funding for this purpose has been included in the budget in recent years. The federal government passed the Disabilities Education Act in 1975, which requires public schools to make available to all eligible children with disabilities a free appropriate public education in the least restrictive environment. In California, school districts provided the funding, programs and related services to meet federal standards, but in 1980 a class-action law suit by parents alleged that special education children were systematically denied access to quality mental health services. A court decision led California to adopt AB 3632 in 1984. Responsibility was shifted to County Mental Health Departments who provide and pay for mental health related services for approximately 20,000 special education students. The departments are reimbursed for 100% of their allowable costs not otherwise billable to insurance (e.g. Medi-Cal or private insurance). In October 2010, Gov. Arnold Schwarzenegger vetoed $133 million in funding for complying with AB 3632 and immediately found himself in court. Three lawsuits, one in federal district court, one in Sacramento Superior Court and one in the California Court of Appeal, all maintained that the governor had left a mandate unfunded. The state won the early round of court battles but the issue took a turn while waiting to see if the California Supreme Court would get involved. 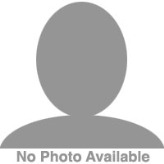 Newly-elected Gov. Jerry Brown proposed a sweeping realignment of assistance to health, social service and public safety programs run by counties in his 2011-2012 budget. In contrast to his January 2011 proposal, the governor’s May revision proposed to make school districts (rather than counties) responsible for providing students with educationally necessary mental health and residential support services. The May revision contained a total of $389 million to support these services in 2011-12. In preparation for the 2012-13 budget, the Brown administration proposed to develop a process with the Legislature whereby all reimbursable mandates are reviewed. This review would determine which statutes should be maintained, modified to reduce costs, repealed to eliminate the mandate entirely, or amended to make the activity permissive using best practices or guidelines. In the meantime, Gov. Brown’s 2011-12 budget proposed sweeping changes in mandates. Counties would no longer be required to mail ballots to people who ask to be permanent absentee voters. They also wouldn’t be forced to tabulate absentee ballot voting by precinct or hold a special election when a candidate dies within three months of a general election. Suspension of these election requirements would affect the 2012 presidential primary election and save the state $31 million related to prior-year claims, although under the Constitution it must eventually repay those claims. The Legislature rejected these changes in the past. Local agencies would not be required to follow certain procedural requirements regarding posting agendas for hearings and disclosing actions taken during closed sessions. The state would save $63 million related to prior-year claims, however it would eventually have to pay them. Although a 2010-11 budget conference committee approved these changes, the Legislature as a whole rejected them. Although the Schwarzenegger Adminstration declared this mandate suspended for 2011-12, the Brown Administration said it intended to fund it as part of a realignment that shifts funding procedures around. AB 3632 covers mandates for mental health-related services for special education students. The Commission on State Mandates can take a long time to determine if a local entity should be reimbursed by the state. In many cases, according to the non-partisan Legislative Analyst’s Office, local governments often wait up to six years before reimbursement checks are issued, provided their claims are accepted. This can put a significant financial burden on local agencies. According to the Legislative Analyst, local governments “devote considerable resources to mandate record keeping.” But about one-third of local claims are rejected because they do not comply with the State Controller’s Office guidelines, which are considered extremely complex. In fact, the Controller’s office has also reduced some claims by as much as 90%, often because local entities have not filed proper documents that might validate their claims. Some suggested reforms include simplifying the process for local governments to file reimbursement claims; increasing negotiations between local agencies and the California Department of Finance; and possibly establishing an alternate process to provide earlier mandate settlements by avoiding the commission entirely. The goal is to reduce the amount of time and complexity local governments endure while waiting for their claims to be heard and, if approved, to get their check in the mail. As part of its Contract With America in 1994, the Republican Party promised to crack down on unfunded federal mandates that forced states to pay for legislation they didn’t pass or necessarily want. The 104th Congress of the United States passed the “Unfunded Mandates Reform Act of 1995” in a largely futile effort to curb the practice even while a similar debate raged at another level as states passed their own mandates along to local entities. Should local governments and schools shoulder the financial burden of California-mandated programs? Supporters of mandates say the state enacts certain mandated legislation because the very nature of the law requires a uniform application that can’t be accomplished via a purely local solution. The state brings a certain measure of expertise to some issues that localities can’t and resolves local jurisdictional issues that can thwart good public policy. But as legitimate and necessary as mandated legislation can be, implementation of the law is often better left to localities. They can adapt programs to fit their special needs, monitor the efficacy of a program and communicate with the people they serve more efficiently than a large, distant bureaucracy in Sacramento. Attacks on mandates can be backdoor attacks on the programs themselves, just as a cry for smaller government, lower taxes and less regulation can be simply an effort to eliminate programs one doesn’t favor. California has an elaborate system of mandate oversight that starts with the commission, but also includes the Legislature, the governor, localities themselves, the media and independent watchdogs like the Legislative Analyst’s Office and the state Auditor. Reform is thoughtful and ongoing. Supporters say it is unrealistic to expect government to be a well-oiled machine that hums along without malfunction. It is a complicated edifice serving myriad competing interests in an attempt to make the lives of its citizens better. Mandates are simply a means to that end and they are a tool that by and large works. Mandates can financially decimate local entities, whether they be counties, municipalities or schools. Critics say the California Legislature is dysfunctional and is passing that political DNA to its local progeny. It doesn’t know how to craft legislation that works on the local level, doesn’t know how to gauge legislation’s unintended consequences (financial and otherwise) and often doesn’t care. In an era of limits, the state Legislature sometimes acts as if it has none. The California Constitution requires the state to reimburse local governments for services mandated by the state. 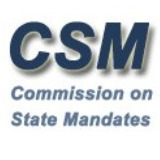 The Commission on State Mandates was charged with overseeing complaints. Yet, the state continues to roll over $1 billion in unfunded mandates from one year to the next with merely a promise to pay someday. Critics say it is cruel and unfair for the state to promise people in need that solutions to their problems are at hand, and then leave it to the local people in charge to bear the brunt of criticism from their disappointed citizens when it turns out that funding doesn’t match intentions. As the state’s independent Legislative Analyst has pointed out, “Most mandates are not complete programs, but impose increased requirements on ongoing local programs. Measuring the cost to carry out these marginal changes is complex.” And because it is complex, documenting each stage of the process imposes an onerous burden on localities that leads to disputes with the state. Despite the best of intentions, the Commission on State Mandates is not very efficient. The commission provides semi-annual reports to the Legislature, which contain information on the number of mandates found, the estimated statewide costs of each mandate, and the reasons for recommending reimbursement. But according to the California Performance Review, the state does not receive early, accurate information regarding mandates, which hampers it in predicting its obligation to reimburse local government. Appointed Commission on State Mandates executive director in March 2012, Heather Halsey received a bachelor of science in English literature/American studies from UCLA in 1993 and a juris doctorate from the University of California, Hastings College of the Law in 1997.
the Santa Barbara-based law firm of Hatch & Parent and remained there for three years before returning to government as committee consultant for the state Assembly from 2005-2007. Halsey left government again for a year to become senior project manager for EDAW, Inc., a company that offers environmental services, economic services, social and cultural services, and information technology consulting services to both the public and private sector. Its services include landscape architecture, planning and urban design, and public space planning.